Understandably, an unplanned pregnancy can be a scary thing, as it can have a significant effect on your life. That is why it’s so important to know the symptoms and have a pregnancy test performed. That way you can take your next steps with all of the knowledge you’ll need to make an informed decision. If you find yourself experiencing any of these symptoms, particularly a missed period, it is highly encouraged that you take a pregnancy test. 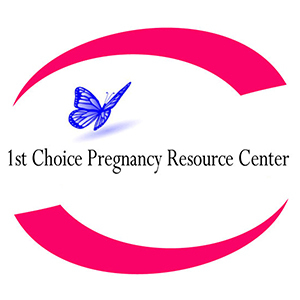 Here at 1st Choice Pregnancy Resource Center, we can provide you with a free, lab-quality urine pregnancy test to ensure you get a definitive answer to your question. How Does My Pregnancy Test Work? The verified pregnancy tests at 1st Choice test for the detection of human chorionic gonadotropin (HCG), the hormone released during pregnancy. HCG can be found as early as seven days after conception, or 21-to-24 days after the first day of your last period. If you have a positive test, our nurse will provide you with written verification of your pregnancy during your visit. Contact us to get your verified pregnancy test today! Learning you are pregnant is sure to bring about all kinds of questions about what you should do now. Fortunately, there is help available, and you can find that help here at 1st Choice. By visiting us for a free appointment, we can provide information on any of the options you are likely to consider, including parenting and abortion. Please visit our Options page to learn more about the choices in front of you. The Center is very understanding, kind, and non-judgmental. Gave me good advice on making a fresh start. It gave me someone to talk to and peace of mind. You clearly want what is best for patients. Very personal, but not too intrusive.